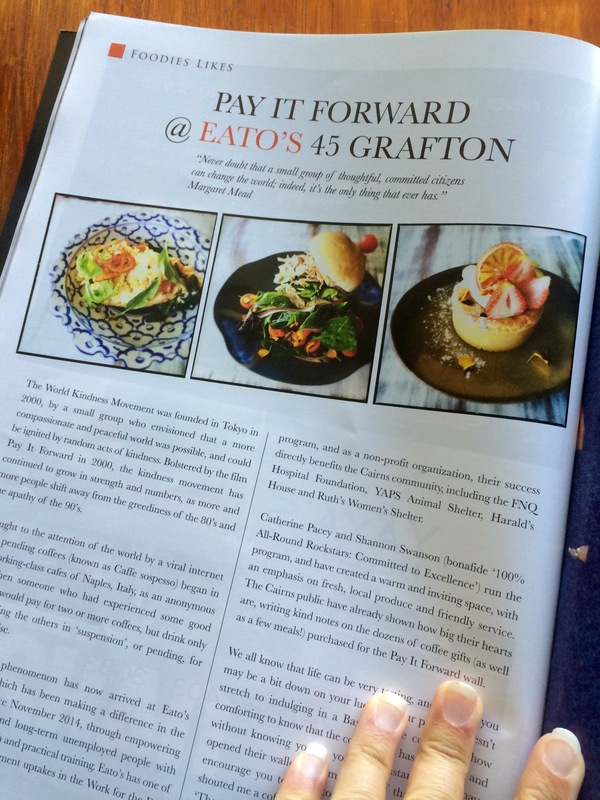 Great article in this month’s Cairns Life Magazine about Eato’s on Grafton Street. I’m pretty pissed that the Cairns Life thought it was acceptable to steal my photos and publish them as their own. These photos were featured on this blog in a review that I wrote about Eato’s Restaurant. I have stated on my website that all content is subject to copyright. Once again Cairns Life Magazine has shown what a truly stellar and professional local publication they are! Apparently spell check is out of the question but copy and paste isn’t. In future I would prefer you ask me before using any of my content and I am still awaiting on an apology. Posted on September 7, 2015, in Cairns and tagged Cairns, Cairns Life Magazine, CairnsLife, Copyright, eatos, Magazine, Photographs, queensland, Stolen. Bookmark the permalink. 5 Comments. That is appalling and completely unprofessional behaviour. Definitely follow up with them. Send them an invoice. They may just pay it. I love that you have spelling and grammar errors in this post, of all posts. Classic. Difference is people aren’t paying me lots of money to write articles about them on my web page. It’s pretty unprofessional.